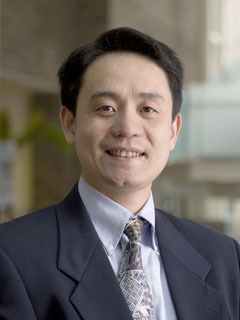 Dr. Xie is an Associate Professor of Marketing and International Business at the School of Business. He is also a NASBITE Certified Global Business Professional (CGBP). He received his MBA degree from the University of South Carolina and his Ph.D. from Saint Louis University. Henry joined the College of Charleston in August 2006. Prior to his academic career, he worked as an international trade manager and research analyst in a number of countries such as China, South Africa, and the U.S.A.
Dr. Xie has engaged in active research in marketing and international business. His research interests include international marketing strategy, cross-cultural consumer behavior, and internationalization of firms. St. Louis University, St. Louis, Missouri Ph.D.
Smith, W., Xie, H., and Pitts, R.E., "Study of value-based promotion appeals and Chinese Travelers". Xie, Yu Henry. (2012). “Foreign Firms’ Brand Extensions in a Host Market: Strategic Factors in International Branding Strategy.” Journal of MarketingTheory and Practice, Vol. 20, No. 4, 105-118. Xie, Qian (Jane), and Henry Yu Xie. (2018). “Board of Directors and Firm Performance in Scapegoating Firms.” Midwest Business Administration Association (MBAA) International 2018 Conference, Chicago, IL, April 18-20,2018. Chen, Yi-Feng Nancy, Mike Chen-Ho Chao, and Henry Yu Xie. (2017), “Integration of Cultural Values and Cross-Cultural Conflict Management,” New York International Academic Conference on Business & Economics 2017, New York City, NY, June 11-13, 2017. Chen, Yi-Feng Nancy and Henry Yu Xie. (2017), “Constructive Controversy for Team Support and Productivity in China,” Academy of International Business Midwest Chapter 2017 Conference, Chicago, IL, March 22-24, 2017. Xie, Yu Henry. (2015). “What Drives Conspicuous Consumption? – The Case of Chinese Consumers.” Atlantic Marketing Association Annual Meeting 2015, Savannah, GA, September 24-26, 2015. Nancy Chen, Mike Chen-Ho Chao, and Yu Henry Xie (2015). "The Paradox of Western and Chinese Values in Cross-Cultural Conflict Management, China Marketing International Conference, 2015, July 24-27, Xi'an, China. ﻿For a comprehensive list of Dr. Xie's research, please see his CV. Guest Co-Editor, Journal of Asia-Pacific Business, Special Issue 2010, Vol. 11 No. 1.